When Google rolled out the specs of its new Nexus 7 tablet Wednesday at Google I/O, I was impressed. Aside from a few limitations, it looked like a pretty deluxe piece of gear. Then I heard the $200 price tag, and all of a sudden things didn’t make sense. When you look at the specs of the new Nexus 7 tablet, you can’t help but notice a disconnect between the technology jammed into that little package and the $200 that Google is asking for it. The Nexus 7 has some fairly expensive-looking technology inside it--a high-definition display, multicore processors, and more. But my guess is that selling the Nexus 7 for anything less than $300 precludes any possibility of breaking even. The actual amount that Google is subsidizing the Nexus 7 is something that no one other than Google and Asus will likely ever know. So why would Google come out with a fancy new tablet it knows will not turn a profit? Mainelli explains that Amazon built an extraordinarily inexpensive but not very functional tablet--the Kindle Fire--in part by using a highly modified and limited version of the Android operating system. And the Kindle Fire has sold very, very well. Google, Mainelli believes, wants to “take back” the Android OS from Amazon, meaning that it wants consumers to know and expect the experience of using full-blown Android (in this case, the new Jelly Bean version) on a tablet. And it seems apparent that the Nexus is much more like using a real computer than the Kindle Fire is. The whole reason Android was created in the first place was to point phone and tablet users toward Google content and services, Mainelli pointed out. Amazon subverted that plan by using Android to power a device designed to consume content and services bought only from Amazon. Google’s best defense against that was to create a better tablet with a better user experience at the same price point as the Fire. That’s the Nexus 7. “Google is trying to demonstrate to its partners how to make a tablet that is affordable, yet full-featured and able to display content in an attractive way,” Mainelli says. Nexus 7 users, Google hopes, will constantly buy their content and apps from the Google Play store. Admittedly, this looked like a pretty appealing proposition in the demonstrations we saw Wednesday at the Google I/O conference. Looking at the recent tablet announcements from Microsoft (the Surface) and Google, one could draw the conclusion that Apple’s scheme of selling hardware and the content and apps that run on it is winning the day. Apple, Google, and Microsoft want to sell you a device (in this case, a tablet) that is tightly linked to their own content store (Apple Store, Google Play, Windows Live), and that displays the books, music, apps, and movies bought at the store beautifully and seamlessly. The device, of course, can also suggest relevant content, and sell it to you with just a few clicks. And these companies seem more and more willing to sell the devices for less money, in hopes that they can make their money back by selling a lot of content through the device. There’s also the issue of mind share and momentum. Google wants both consumers and content creators to get excited about Android again. When consumers get excited, they buy more tablets and content. But consumers will only get excited if they can buy from a wide selection of apps and other content from the store that serves the device. So it’s very important that Google get developers and content partners fired up about Android as well. “Google needs to get enough people into the ecosystem, so they'll sacrifice making money on the hardware to make sure that there are enough pure Android tablets in the world to power their own ecosystem,” Mainelli says. That excitement has not happened for the group of Android tablets on the market now. A big part of why Android tablets have failed is because they have been priced too expensively by Google’s hardware partners, Mainelli points out. 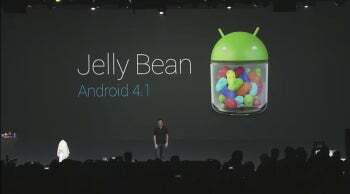 The Nexus 7 is powered by the new Android 4.1 "Jelly Bean" OS. Google may be trying to demonstrate to its partners the mix of functionality and low price needed to get people excited about Android tablets. The same thing might be said about Microsoft: It could easily have had an OEM partner like Nokia manufacture the Surface, but it chose to set the design and pricing standard to which future Windows 8 tablets must adhere. Google’s willingness to subsidize the Nexus 7 is proof that there’s a lot at stake for the company here. But if anybody has the deep pockets needed for such a “lose-to-win” strategy, it’s Google.